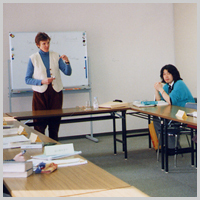 Foreign teachers who are native English speakers teach English in the course. 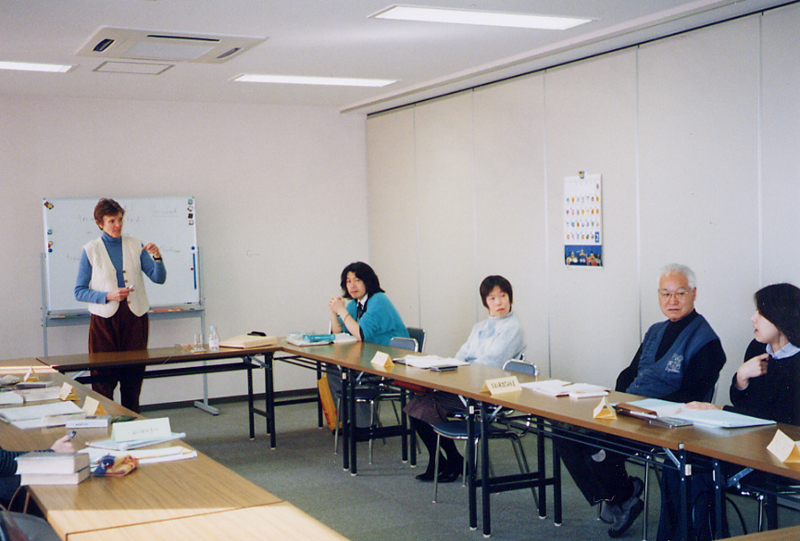 Classes for three levels are available, introductory, basic and intermediate. 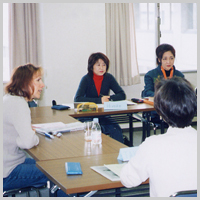 The purpose of the English conversation course is to gain a mutual friendship through English lessons in classes and expand their friendship with foreign people living in Shinagawa City. 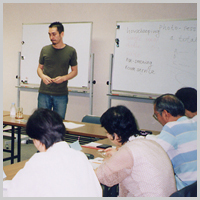 English language course is offered twice a year in April (the first session) and October (The second session). 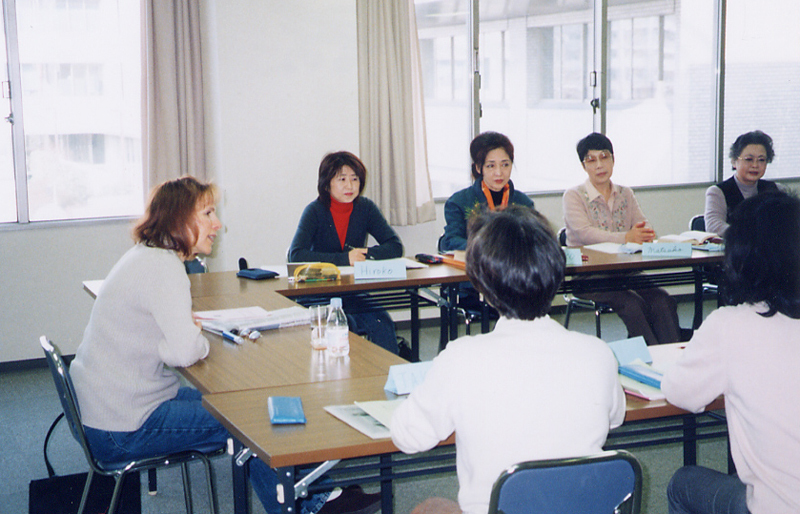 The course includes 20 lessons (Class is held on Wednesday every week). 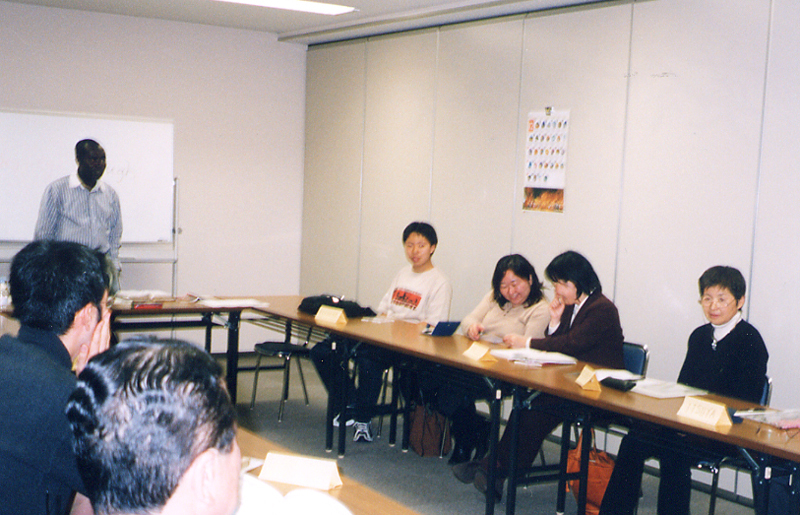 The original textbook we produced by ourselves is used in the classes, and the classes are taught by foreign teachers who are native English speakers. Spring *The recruitment starts on March 1st. *Babysitting services are not provided; therefore, small children are not permitted to the join the activities held in the information centers. 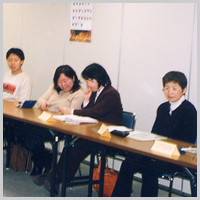 *We do not perform the application from Website. Please refer to "What's New".